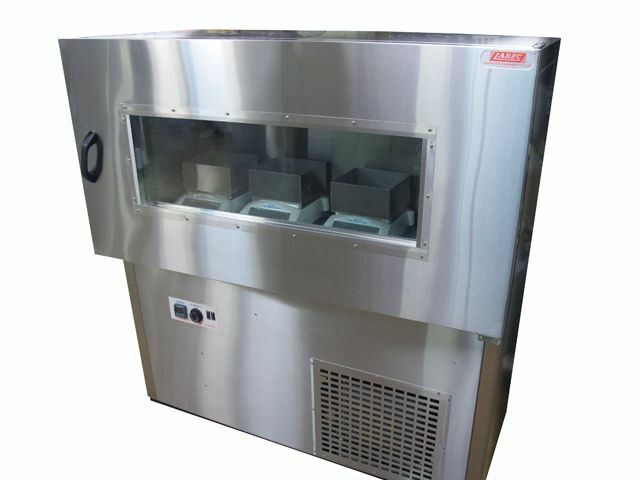 Design an oven to reduce cream from frozen state, measuring the change in volume in weight and record visually and by weight as the contents melt onto a set of scales below. 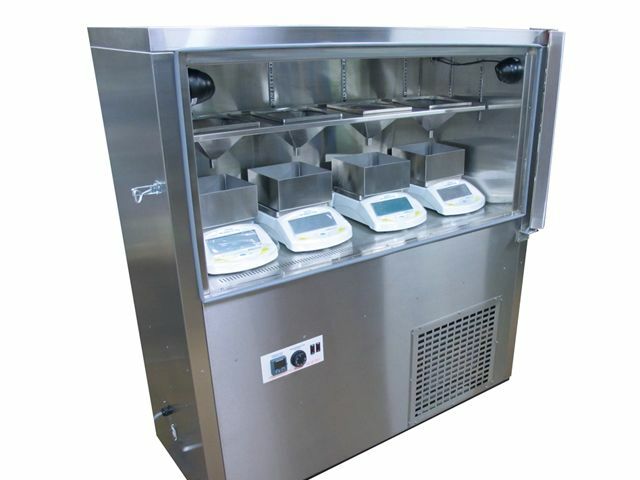 The temperature uniformity and air flow had to be lateral down from the top through the product and provide and an accuracy of ±0.5°C. 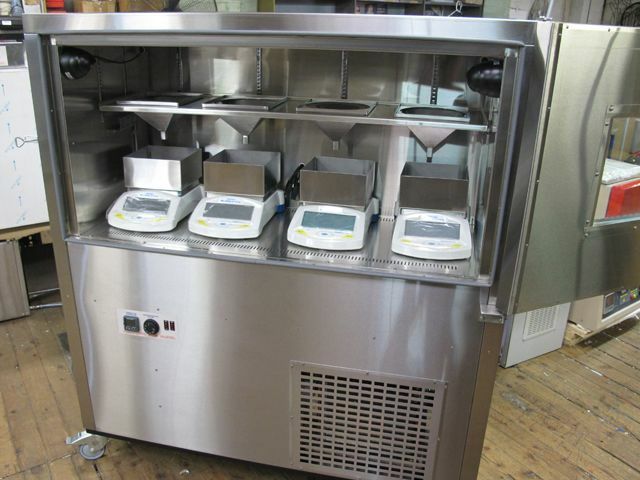 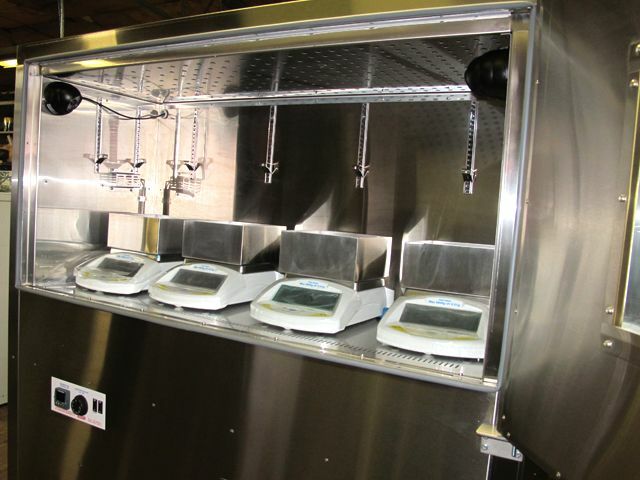 Due to the scales being 0.001 scale readability the unit had a separate refrigeration system and all moving components had to be balanced and separated from the frame to ensure the vibration did not effect the scales during measurement of the melting.